We talk a lot about it, and describe its importance in many ways. But I recently stumbled across a TED Talk that reframed the way I think about branding and what it can mean for an organization. Ok, stop. That word… that image… of a handshake. That’s what a brand is! Or, rather, what a brand can be and should be, if done strategically, deliberately and with care. In other words, precisely how Engine Brandmakers goes about it. We’ve said many times that a brand should be focused and true, and should reflect the core idea of what drives a company (car pun intended). When everything a brand does, says, tries, develops or makes is consistent with the overall idea behind its existence, well, you won’t have to work to convince people of who you are as an organization. They’ll already know, because they find it right there in the logo and tagline and people everything else that makes up your brand. They’ll more than know it. They’ll feel it. Start thinking about your brand, then, as a handshake — the first touch and the first impression someone receives about you. What do you want them to feel about you? How do you want them to talk about you later? Is your “handshake” impressive, firm and confident, or does it lack substance? If you didn’t understand the importance of a well-crafted brand before now, that should do it. Find out how we can help you improve your brand handshake. Call us! And check out what we’ve done for other clients here. See Richard’s full TED Talk here. 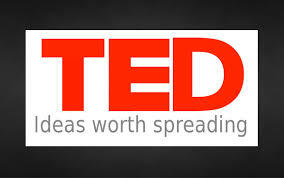 Or listen to the TED Radio Hour podcast on beauty here.